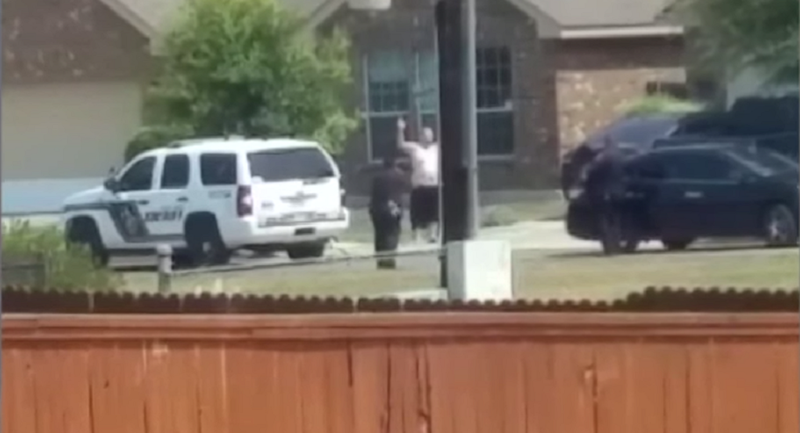 A second video has emerged of the fatal shooting of 41-year-old Gilbert Flores by Bexar County sheriff’s deputies, and provides a "very clear view" of the confrontation that lead to the man being shot to death with his hands seemingly raised in surrender. The second video has not yet been released to the public, but was reportedly taken from a much closer distance and shows a different angle of the encounter. "It's a better angle and much closer. It brings more clarity to the situation," Bexar County District Attorney Nico LaHood told NBC, declining to provide further detail on the content of the video. Attorney Thomas J. Henry, who is representing the Flores family, is pushing for the department to make the video public. The family is considering filing a federal civil rights lawsuit. "When you put your hands up in this country, I believe most people think that you're giving up and you're no longer a threat," Henry told NBC. The Bexar County Sheriff’s office made headlines Tuesday when they slammed a local media outlet on social media for releasing the unedited initial witness video, blaming the news organization for threats to their deputies. 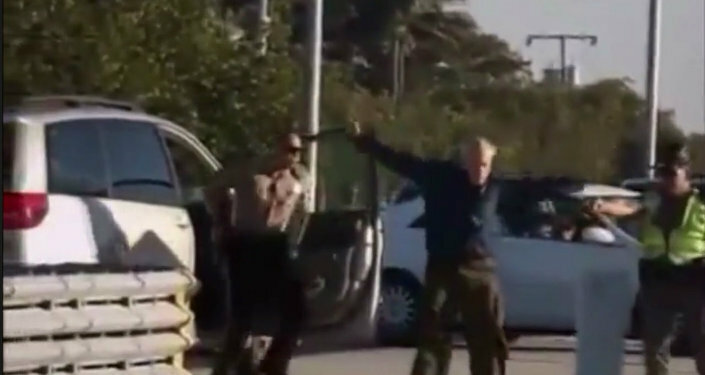 In the first video, Flores, 41, raises his hands over his head then collapses to the ground after he is shot twice by two deputies. The department claims that he was armed with a knife and was resisting arrest. Dispatch audio of the encounter from the Bexar County Sheriff's Office has also been released, and indicates that Flores had a knife at some point during the incident and was "threatening suicide by cops." "I don't know what his intent was," LaHood said on Tuesday. "All I can tell you is the video is disturbing. But my encouragement to everyone is to press the pause button." The deputies had been responding to a domestic disturbance incident in which a woman had been injured. A small child was also present, but it remains unclear whether she or he was also injured. The deputies who shot Flores, Greg Vasquez and Robert Sanchez, are on paid administrative leave pending the outcome of an investigation by the sheriff’s department’s and district attorney. The FBI is monitoring the investigation. Neither of the deputies were wearing body cameras at the time of the incident.